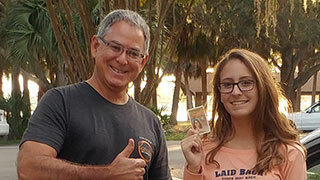 Pinellas Driving School is a Florida state certified driving school, and we employ driving instructors who are both Florida state certified and trained to teach to our strict standards. But we’re not just teachers, we are driving enthusiasts! We appreciate the privilege of driving a car, and everything that entails. We want to share our enthusiasm for driving PROPERLY with a new generation, and that is why we do this. As a result, we’re teaching more than just the bare minimum of “how to drive a car” or “how to pass your license test.” We teach our students how to be safe, confident and courteous drivers at their core. If you have questions about anything, feel free to Contact Us by phone or email. We presently have two instructors who are both co-owners of the school. They constantly share their teaching experiences with each other and strive to provide the best learning experience for each student, regardless of their driving history, their skill level, or their background. Loren’s passion for driving dates back to his youth. Like many teen drivers, he made his share of expensive mistakes, and learned from them. One of his goals is to thoroughly teach new drivers so that they can AVOID such mistakes! He understands the physics and psychology of driving, and tries to teach on a deeper level. The more you understand what the car is doing and how your brain relates to what the car is doing, the better you’ll be at driving! 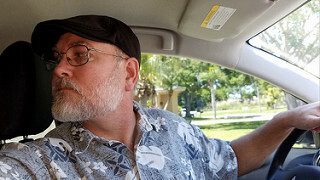 He has been teaching driving since the late 1990’s, and has been a Florida State Certified Driving Instructor off and on since 2006 and has taught behind-the-wheel driving for two of the major driving schools in the area. Most recently, he’s been teaching driving consistently since 2015 and started Pinellas Driving School with Steve Frank in 2017. Loren’s history includes 8 years of military service, a degree in electronics, years of work in the electronics and information industries, and even a little work in commercial graphics and website design. Hobbies are primarily amateur motorsports and tinkering with cars and computers. He is married with an adult son, and shares his home with his wife, three cats… and three cars. Steve also has a great passion for driving dating back to his teen years. As a 30+ year resident of the Tampa Bay area, he really knows his way around and is familiar with the rich history of Pinellas County. He started teaching people about driving in the mid 2000’s, and became a State Certified Driving Instructor when he and Loren Williams started Pinellas Driving School in 2017. Having absorbed some of Loren’s driving instruction wisdom in addition to his own experience, he has become an outsanding driving instructor! Steve shares Loren’s hobbies of amateur motorsports and sports cars. In fact, it is how the two of them met, and they also share ownership in a motorsports club! At home, Steve also keeps plenty busy raising two teenage girls.